Decide on what day your league wants to draft. Check out our draft calendar for all available time slots. 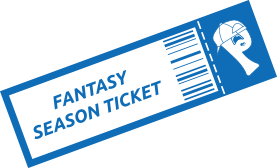 Purchase a Fantasy Season Ticket at The Post to reserve your league's draft slot. Fantasy Season Ticket also provides your league with a FREE in season pizza & pitcher party!!! For additional savings we offer an MVP Draft Package. Then in order to really draft like a boss, Add a Draft Hostess. It's the best day of the year and once you Draft like a Boss at The Post, you'll never settle for anything less again. Share the digital Fantasy Season Ticket ​certificate​ ​we send you on your social networks. You'll get a free beer for doing so on the day of your draft. Have all your league members pick up MVP cards at The Post (if they don't already have one) to make sure your league earns credit towards all of our in season fantasy contests! Swipe your MVP card every time you're at The Post. Win pizza and pitcher parties, trophies, vacations, and more. Competitive spending contests encompassing all patrons. Competitive spending contests between recreational sports teams. Competitive spending contests between fantasy leagues.